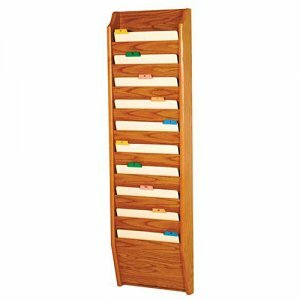 Oak ten pocket wooden wall chart holder (rack). Our chart and file holders are an attractive way to keep files handy. Constructed with solid oak sides and available in three designer colors to match any decor. Pockets are 12 1/2 inches wide. 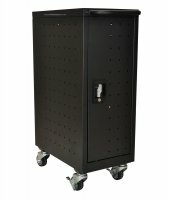 Racks are pre-drilled and include hardware for simple wall mounting.